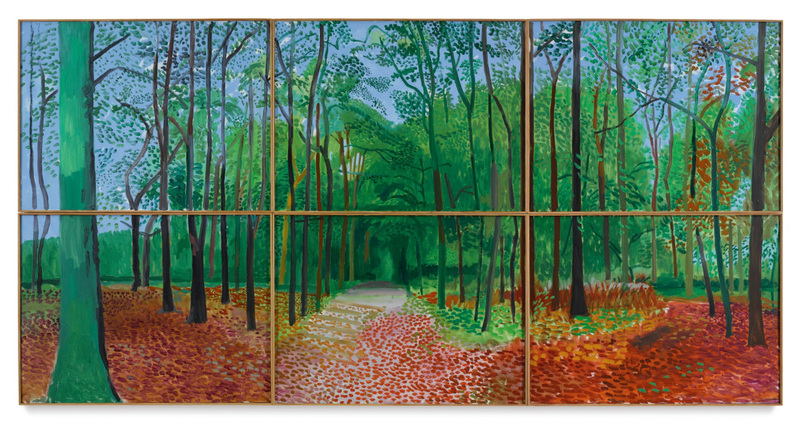 David Hockney, Woldgate Woods, 24, 25, and 26 October 2006, signed, titled and dated 2006 on the reverse of the lower right panel, oil on canvas, in six parts, overall: 72 by 144 in. 182.9 by 365.7 cm. © Images are copyright of their respective owners, assignees or others. © 2016 Iris Index. All Rights Reserved.